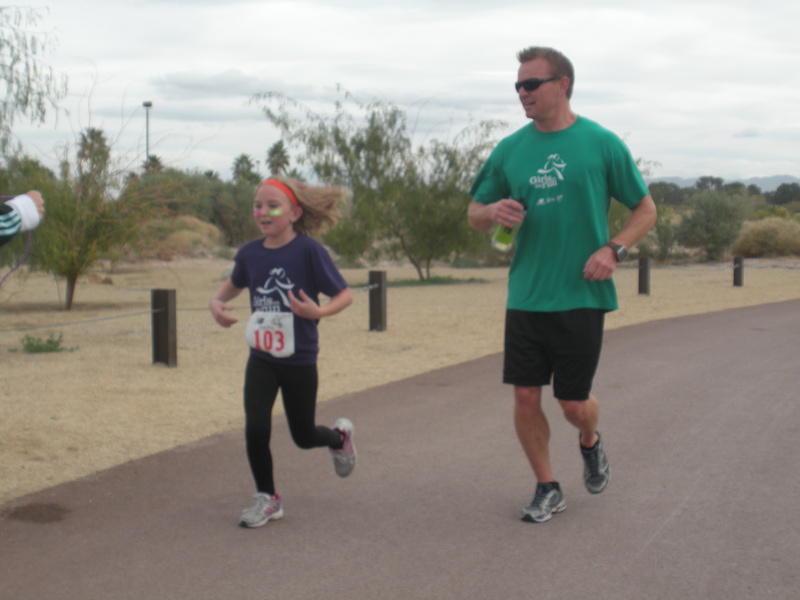 Those of you who have been following my blog for a while know that for the past year-and-a-half I have been involved in a local advisory council to establish Girls on the Run of Las Vegas. 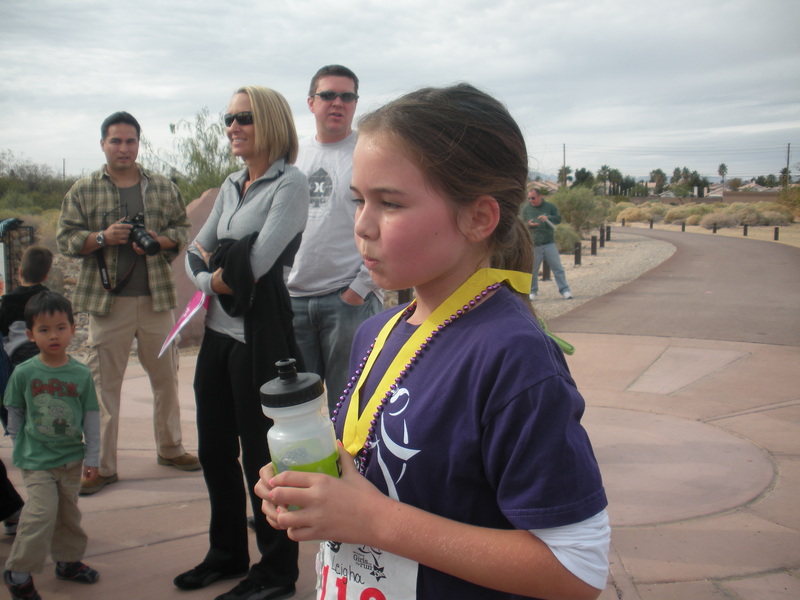 Girls on the Run International is a positive youth development program which combines training for a 5k with an interactive curriculum to develop self-respect and healthy lifestyles in 3rd – 5th grade girls. Our inaugural season in southern Nevada kicked off in August 2011 with 10 girls and 4 coaches (I was lucky to be one of the coaches!). After our 12-week, 24 lesson program, we ended with a big shebang at our season end Girls on the Run New Balance 5k this morning. It was an awesome experience for all of the girls and their families. 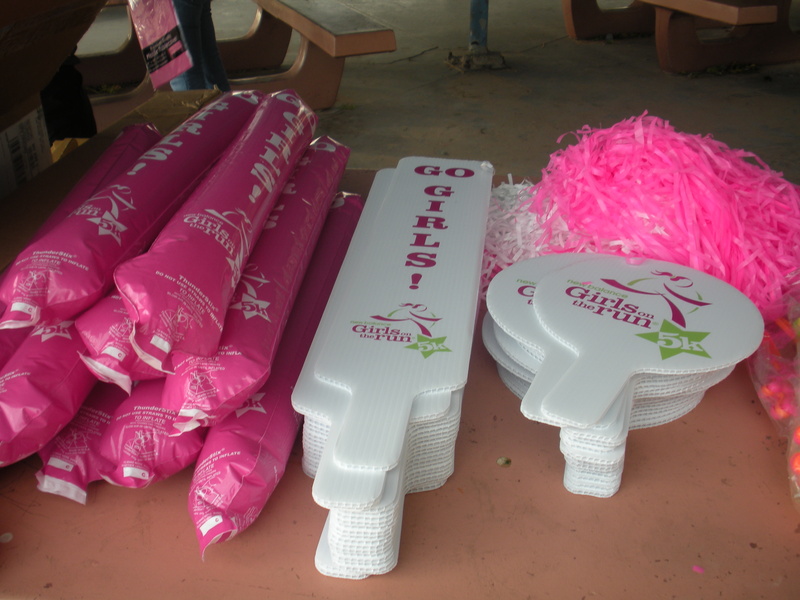 We had about 100 spectators come out to cheer the girls on, and we were fully equipped with an official Girls on the Run cheer kit — pom poms, cowbells, megaphones, posters, thundersticks and more cowbell. 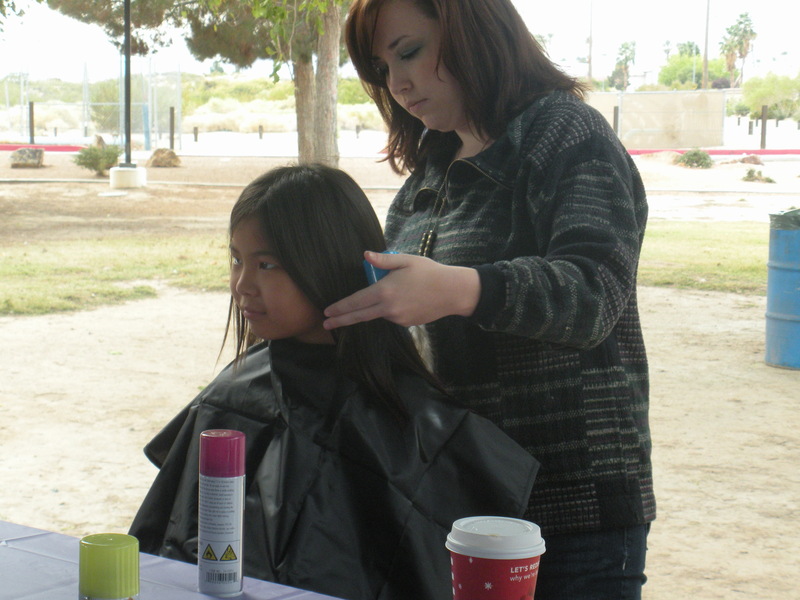 The girls arrived about an hour before the race to get their hair spray-painted and styled by “Happy Hair” volunteers. 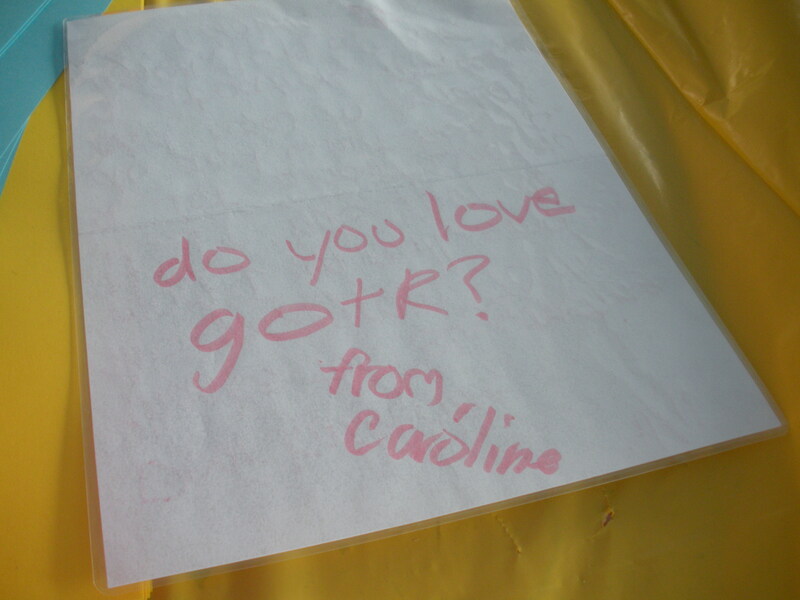 All the supplies were donated by Girls on the Run national sponsor Goody. When it was time for the race, the girls took off in a sprint. While we’ve tried to teach them the importance of “pacing” during our lessons, there was just too much excitement in the air. 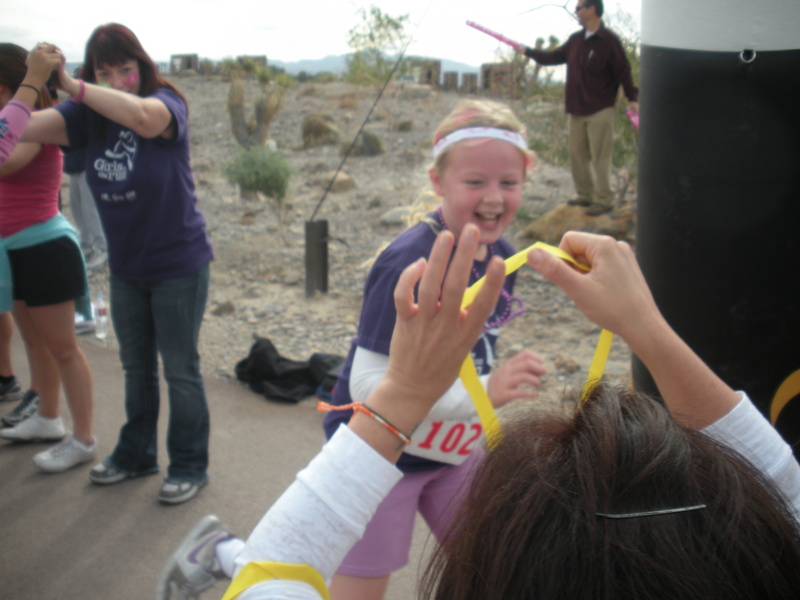 All girls ran with a “running buddy” — a family member or an adult volunteer to encourage them along the way. Some of the adults had a hard time keeping up with the girls. I know I would have! 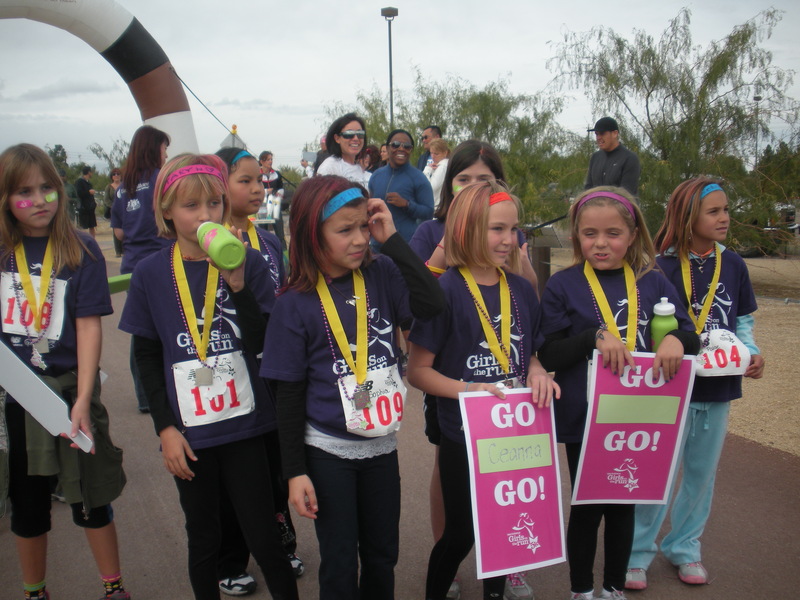 For more information on how to get involved in Girls on the Run in your community visit www.girlsontherun.org. 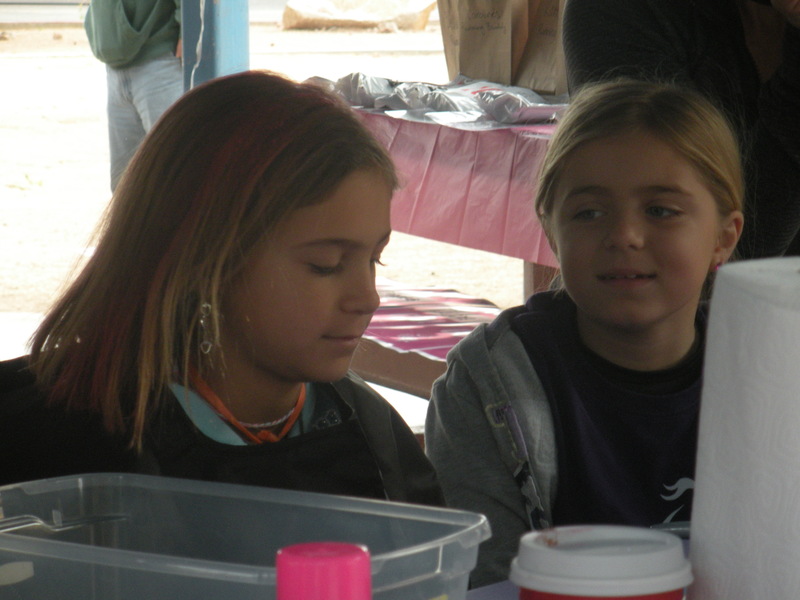 We’re also recruiting volunteer coaches and registering girls for our Spring 2012 season in Las Vegas. 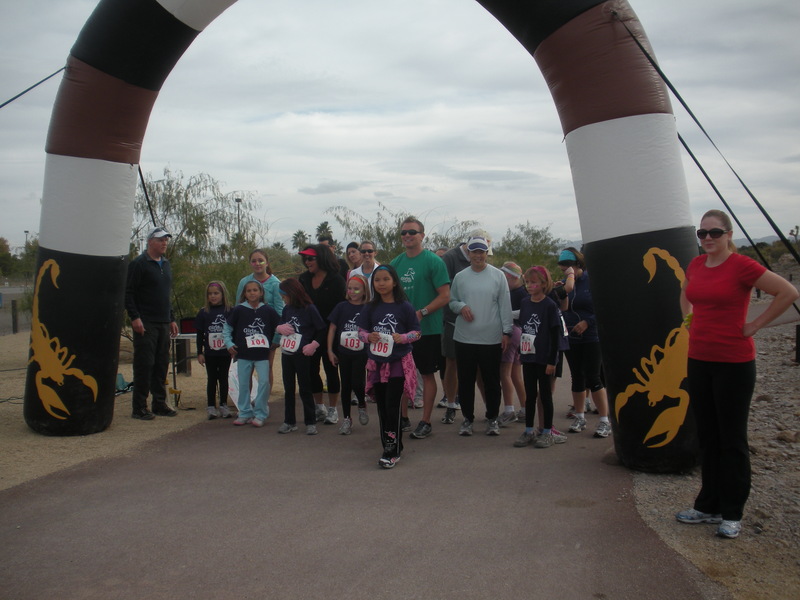 This entry was posted in Healthy Living, Las Vegas and tagged 5k race, Girls on the Run, Las Vegas, Running, volunteering, youth development. Bookmark the permalink. It was a good step taken by you and the event completed in a very decent manner and everybody got a message that these young girls will become the power of era some day, may all society take lesson and start organizing such events so that girls can come forward to show their skills in sports as well as other streams.